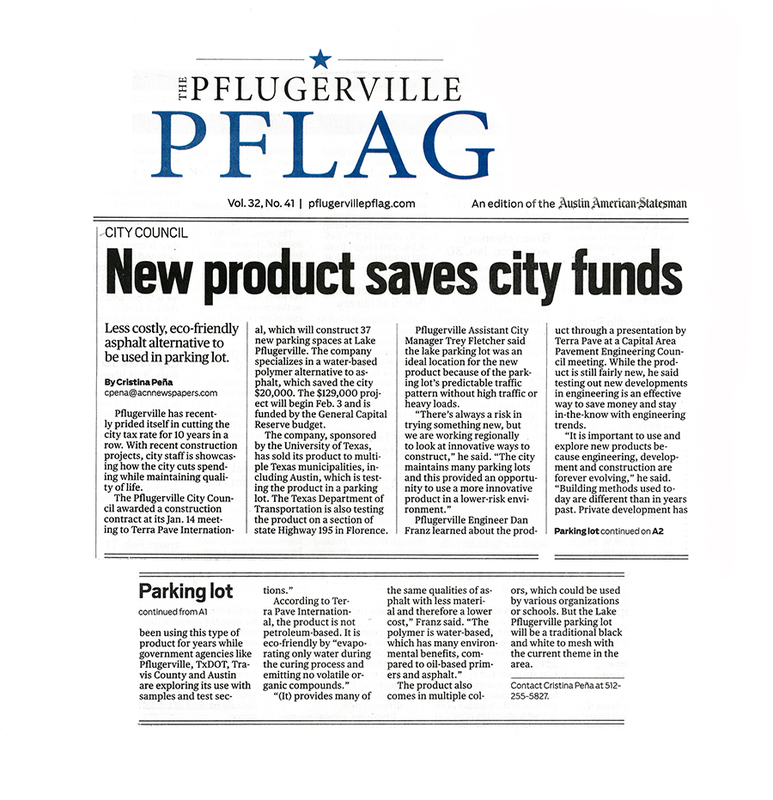 Pflugerville has recently prided itself in cutting the city tax rate for 10 years in a row and with recent construction projects, city staff is showcasing how the city cuts spending while maintaining quality of life. 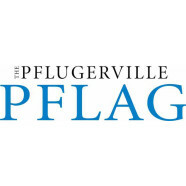 The Pflugerville City Council awarded a construction contract at its Jan. 14 meeting to Terra Pave International, which will construct 37 new parking spaces at Lake Pflugerville. The company specializes in a water-based polymer alternative to asphalt, which saved the city $20,000. The $129,000 project will begin Feb. 3 and is funded by the General Capital Reserve budget. The company, sponsored by the University of Texas, has sold its product to multiple Texas municipalities, including Austin, which is testing the product in a parking lot. The Texas Department of Transportation is also testing the product on a section of state Highway 195 in Florence. Pflugerville Assistant City Manager Trey Fletcher said the lake parking lot was an ideal location for the new product because of the parking lot’s predictable traffic pattern without high traffic or heavy loads. Pflugerville Engineer Dan Franz learned about the product through a presentation by Terra Pave at a Capital Area Pavement Engineering Council meeting. While the product is still fairly new, he said testing out new developments in engineering is an effective way to save money and stay in-the-know with engineering trends. The product also comes in multiple colors, which could be used by various organizations or schools. But the Lake Pflugerville parking lot will be a traditional black and white to mesh with the current theme in the area.